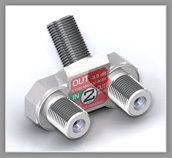 Test for continuity and short circuits on coax cables in one easy step. 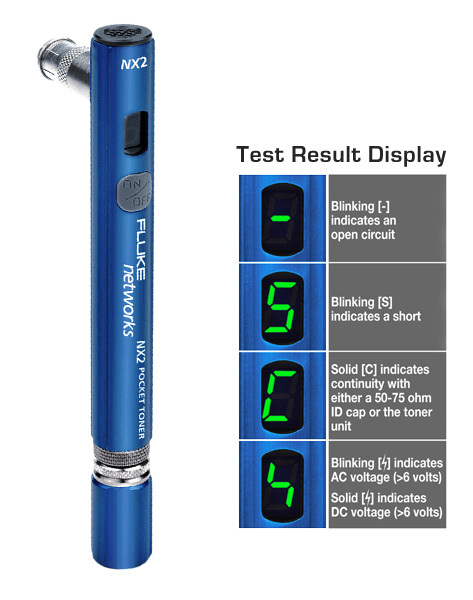 Basic professional coaxial testing does not get any more compact and simple as PTNX1. This is the new NX version of the classic black Pocket Toner® first invented by Gale Corporation years ago. This new NX version features lightweight aluminum construction, a standard AAA battery, and new dual buzzers that audibly indicate continuity at both ends of the test cable. Like all Pocket Toner® NX test tools, the NX1 is now 100% low voltage protected so connecting it to live low voltage systems will not damage the tool. 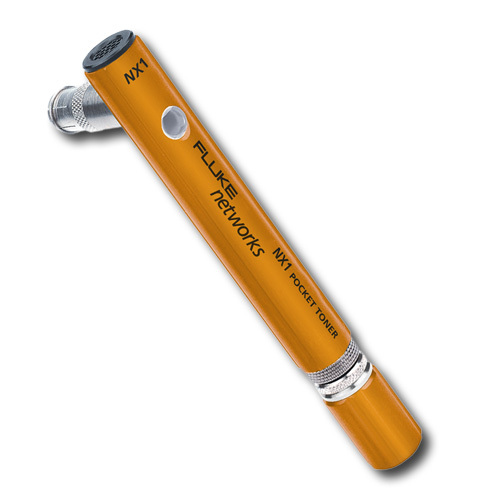 The individual PTNX2 is for the technician that works primarily with coax cable that wants a powerful but super-compact tool to fit in his or her pocket. In addition to testing for continuity and short circuits PTNX2 is packed with advanced features like indication of AC or DC voltage, 50-75 ohm terminators and auto shut-off to conserve battery life. 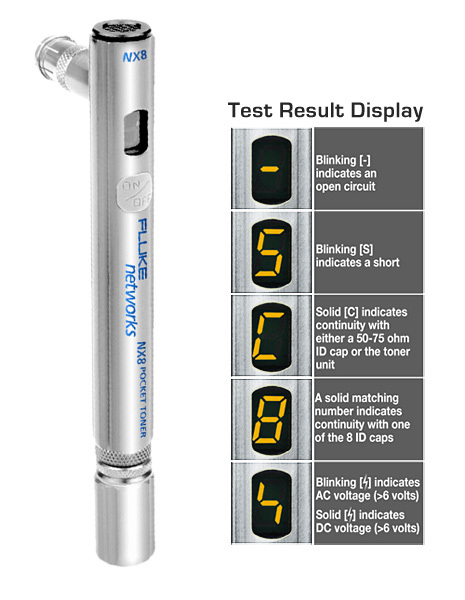 PTNX2 instantly displays all test results on an easy to read 8-segment LED display as well as giving audible feedback at both ends of the test cable. 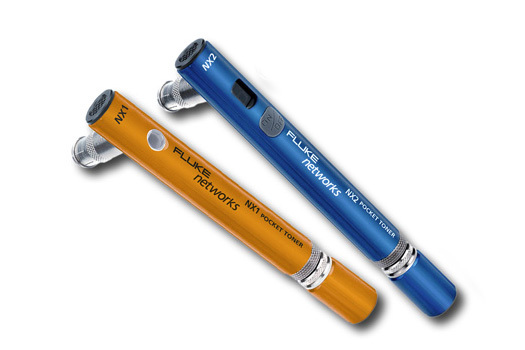 Like all Pocket Toner® NX test tools, the NX2 is now 100% low voltage protected so connecting it to live low voltage systems will not damage the tool.